← What are Hedge Funds? You’re excited! You know you have a winning product or service and EVERYONE YOU KNOW agrees. Your friends and family have already supported you and so now it’s time to spread your wings. How do you get the marvellous magic you have to offer into the hands of customers willing to pay for this privilege? Read on. Ideas abound in this fabulous contributed post. 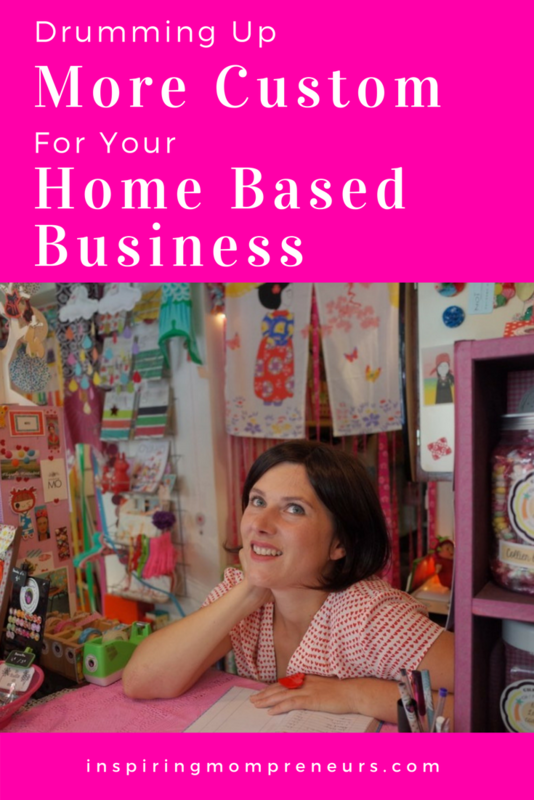 If you have a home-based business, one of your biggest concerns is going to be making sure you have enough custom to keep going for the foreseeable future. You can’t just expect clients to come banging down your door if this is the case. 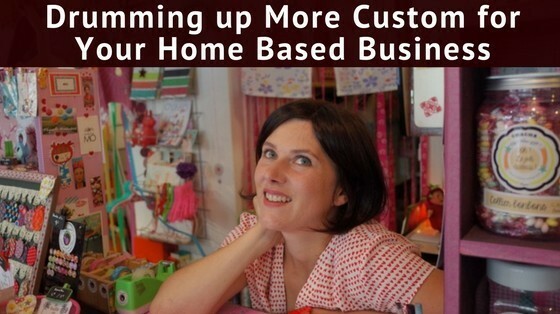 You need to make sure you’re taking the time to drum up more custom for your home based business. There are so many ways to do this that you should never convince yourself that you’ve run out of ideas. Conferences in your industry or niche are a fantastic way to meet people. You might think that they are too expensive for you to attend, but they can be a great investment and you can leave having made some fabulous contacts. You might meet prospective clients, and even other businesses that you can partner up with in the future. You never know who you might meet and what you might learn, and both of these things can help you to drum up more business like never before. If you want to drum up more custom, you have to focus on building great relationships first and foremost. Make sure this is your goal when interacting with absolutely any customer that comes your way. Make sure you personalize your interactions with them and consider how you can go above and beyond for them so that they see that you really care. You could also follow up and ask them how their product is doing. Sending handwritten thank you notes is another nice touch. Do what you can to make them smile and remember you. Make each customer feel special. Some people are still afraid of giving away their content for free, as they believe that people won’t need to work with them if they do. This is untrue! Giving away content for free shows people that you know what you’re talking about. It shows them that you’re experienced, and you are able to establish yourself as an expert in your niche. More than anything, this will make people want to come to you! They’ll visit your site when they have a question as you’re so adept at answering them, and they will be more likely to work with you. Never be afraid of giving away your own high quality content for free. It’ll pay off. Make sure you consider how you can leverage your previous customers to gain new customers. There are quite a few ways you can do this. For example, could you give them both a discount code if they refer a friend, or could you offer them points and money off an order? Many businesses do this – e.g. 10% off for you and a friend when you give them this special discount code. It really works! There are so many online marketing techniques out there. You have to be prepared to experiment if you’re going to learn what truly works for you. However, you should not be taking control of your entire online marketing plan by yourself – this could end in disaster, especially if you have no previous knowledge or experience of doing something like this. You can teach yourself a lot online, but it’s always best to leave a job as important as this to the professionals. Although it’s best you leave a job like this to the professionals, you should make sure you learn enough so that you can understand what they are telling you when they talk about your results, analytics, and other things. You want to know that they are doing their job, and swap companies if something needs to change. Your marketing is one of the most important things you’ll ever invest in in business. As well as investing in marketing, another important thing you should always invest in is your own training. Making sure you are consistently improving and becoming the best version of yourself will help you to do better work and gain more customers as a results. You can look here to find resources that will help you to do this and figure out what type of training you really need. Never get complacent – working on yourself for your business is always a great idea. If you’re confident in your work, giving out free samples will help people to see the value in what working with you can do for them. You can give out free samples anywhere you like – if you do festivals and similar shows, then it’ll work really well there. With every order made, give a voucher or discount so that person is more likely to come back and shop with you again. This is a great incentive, but make sure you don’t give them too much of a harsh time limit to use the voucher by. They should have a month at least. Some businesses even like to give money off with the first order when signing up to the company newsletter. This can be a great way to build your email list too, so be smart and consider introducing something like this! Business cards are a tried and tested marketing technique that everybody with a business can use. You should make up some business cards and give one to everyone you meet. If you don’t have a huge budget at first, that’s fine. You don’t need one – some places even allow you to make basic business cards for free! Eventually you could consider doing something more fancy with your cards, but it isn’t imperative at first. The true important part is making sure you have all of the relevant information on your cards so that people can contact you if they require your service. Make sure you triple check the information to ensure there are no typos! Sneaky tip: once you have your business cards, you can consider leaving them somewhere where a person who could require your service will find them. For example, if you’re a freelance plumber, you could put your card in a DIY plumbing book in the library. That’s just a silly example. You could leave them in coffee shops – just don’t scatter them everywhere like confetti. Be smart about where you leave them. When you actively try to sell something, it can come across as a bit desperate, or a bit pushy. You don’t want to reek of desperation as it’ll put people off you to no end, and you definitely don’t want to come across as pushy. People hate feeling like they are being pressured into making a decision. They need to make their own minds up. Instead of going with the hard sell, start asking questions instead. Learn about your customer so you have a good idea of what they really need and so you can help them better. When you ask questions you learn more about them and can better come up with solutions to what they need – sometimes, they may not need anything from you at all. If you’re transparent about this, they will be more than likely prepared to work with you in future if they do end up needing something from you. Make sure you show that you genuinely care about the customer. Word of mouth recommendations and social proof are very powerful marketing tools that you can begin using right away. If you’ve done work for somebody, ask them to leave you a review on your Facebook page or write a testimonial for your website. People will often check social media pages before working with a business, as they want to see what everybody else is saying about that business before they go through with it. Make sure that along with this, you do your best with every single customer you work with. This will get you word of mouth recommendations, and that’s something you just can’t buy. You want customers to be telling all of their friends and family about you! Make sure you don’t let your online presence go stale. This is really easy to do when you have a home based business and nobody else working for you. Make sure you only use as many social platforms ad you can keep up with. Competitions are a fabulous way to drum up business. Use social media. People love free stuff! Ensure you’re always honing your customer service. It should be second to none. If a customer has a complaint or an issue, make sure you have a bulletproof way of dealing with it. What are you waiting for? Start drumming up more business today! Isn’t this an amazingly comprehensive list? Are there any business promotion techniques you’ve tried that aren’t on this list? If so, we’d love to hear about them. Feel free to leave a comment below. These sound like great ideas. My wife is thinking about starting a business selling decorated sugar cookies from home. Do you have any advice for starting a business and building an initial customer base? Hi Steve, that’s wonderful news. Ooh, I would so think cookies would sell themselves. Yum! Do you have children? If it were me, I would start by selling to Moms at School. As word gets out, I’d imagine she’ll soon be inundated with orders. Moms love supporting other Moms in business. If that’s not an option, I would pop around to local coffee shops and see if they are willing to place them on the counter for guests to pick up on their way out. I’d add a business card to each packet. A website and Facebook or Instagram page would be a fab idea, of course, perhaps you could build a simple site for her? Personally, I favour Instagram. Here’s the Instagram page of the lady who bakes and decorates my son’s Birthday cakes. https://www.instagram.com/thecakedreamer/ She is doing brilliantly with her home business. I think these are very useful tips. I really need to start going to art workshops since my niche is in paints. I am still fairly new, but I will be trying out different techniques. Thank you for posting! Oh, awesome, Miranda! What fun and what a fabulous way to make connections. You make some very great points! Interaction with your present customers and possible future customers is so important. Even though your business is online, interaction among your customers leads to so many word of mouth referrals, which requires little work on your part. Absolutely, Brad. I’m a firm believer in being the same online as I am offline. Being authentic. Engaging with your audience is key to building a loyal following. And I also firmly believe word of mouth is the best form of marketing. And the great thing is, you can request recommendations and reviews on your website or on social platforms. Over time, as more and more recommendations and reviews come in, you build credibility and authority online.